In the environments that require good sound control, there is a constant search for the most efficient and most reliable products. It is etched in our brains that effective products do not come cheap, and that you have to pay big for effective results. But is it really so? We all want to have the best equipment, the best recording studios and the best vocal booths. Sometimes, the only way to do this is to go through the process of trial and error of finding the best product. But by doing this, a lot of time and money get wasted in the process. We, at VocalBoothToGo.com, hear this frustration from our customers, and this is why we conducted a side-by-side study of sound absorbing efficiency and price/value comparison between acoustic foam and acoustic sound blankets. Auralex Studiofoam Wedges (acoustic foam) and Producer’s Choice Sound Blankets. AUR-1IN-WEDGE 1 “ wedgies 0.50 $2.50 $399.99 / 160 s.f. AUR-2IN-WEDGE 2” wedgies 0.75 $4.17 $399.99 / 96 s.f. AUR-3IN-WEDGE 3” wedgies 0.90 $6.24 $399.99 / 64 s.f. AUR-4IN-WEDGE 4 “ wedgies 1.10 $8.33 $399.99 / 48 s.f. ($0.62 if sold per blanket) $119.75 / 234 s.f. 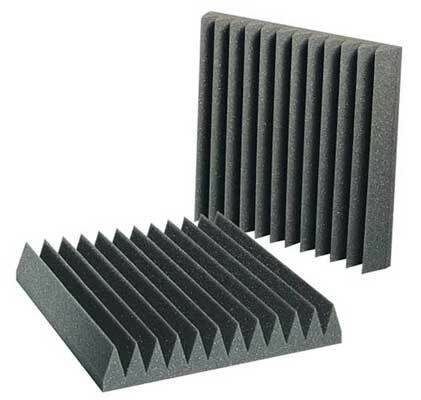 * Acoustic foam comes in different shapes and thicknesses. For the purpose of this study, we used products from the same, most popular manufacturer, and one type of product that is marketed as most popular product. We compared the entire range of available thickness for this particular product. ** To be fair in our comparison of acoustic foam prices, we used the sale price (not MSRP price) from the same major online retailer selling the foam by kit. (Foam sold by individual 12 x 12 pieces is usually 20% more expensive.) The price was for one kit of the same color foam. Then we calculated the price per square foot. *** This price is calculated from 6-pack bundle price. 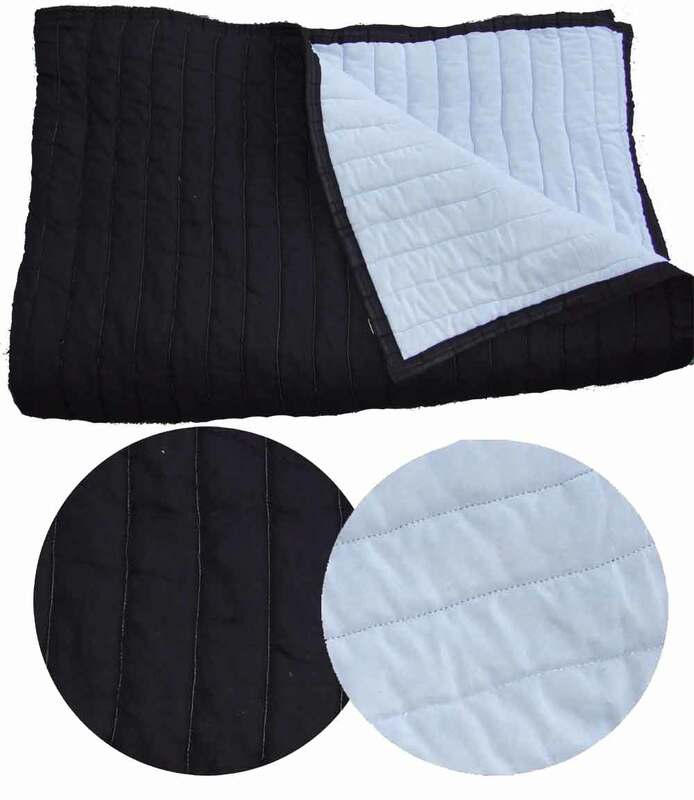 Individual price per blanket – $24.75 ea. (Standard size 72 x 80” , 39 s.f. no grommets). 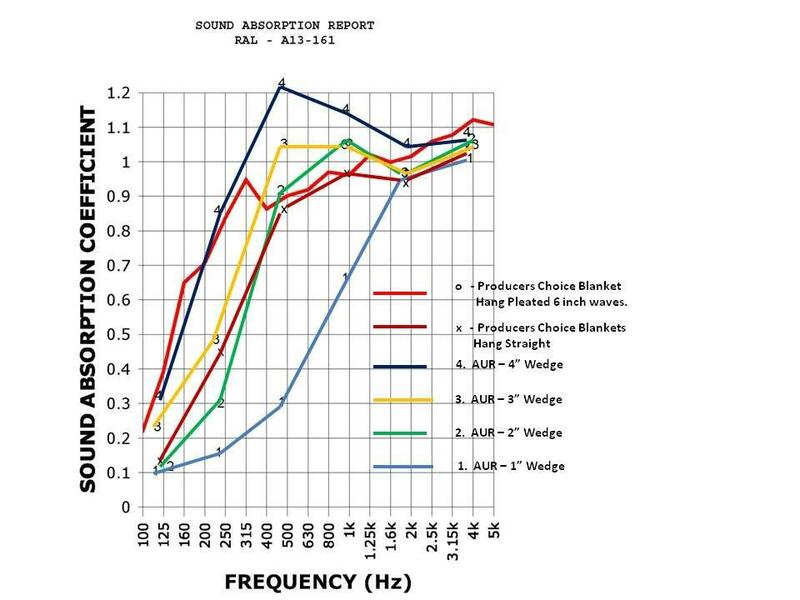 Sound absorbing efficiency of acoustic blankets fits right in the middle of the acoustic foam comparison samples, between 2 “wedges and 3” wedges foam. Sound absorbing efficiency of Producer’s Choice Acoustic Blankets exceed sound absorbing capacity of acoustic foam in thickness of 1” and 2 “and it is close to 3” thick acoustic foam. Actually, if sound blankets are hung in pleats, its sound absorption capacity even exceeds the 3” acoustic foam performance, achieving 95% of sound absorption (NRC 0.95).) If you look at the absorption curve, you can easily figure out that adding just a few extra folds will give performance exceeding the prized 4” thick acoustic foam. It is evident that acoustic blankets are an effective sound absorber. In terms of price, acoustic blankets beat acoustic foam hands down. 1” acoustic foam is 30% less efficient than sound blankets but it is 5 times more expensive. 2” acoustic foam is 5% less efficient than sound blankets but it is more than 8 times more expensive. 3” acoustic foam is only 10% more absorbent than sound blankets but it is 12 times more expensive. Ease of use is important, but it is difficult to quantify. Acoustic foam comes in different colors and is trendy – looks cool. It is light and easy to stick to a wall or a ceiling. Unfortunately, once it is glued to a wall, it is not movable. It is too fragile and easy to tear to be able to peel off the wall to reuse elsewhere. Over time, the foam accumulates dust and disintegrates. We did not find any specific research to quote, but logically, acoustic foam performance has to deteriorate overtime as well. Acoustic foam is an open-cell porous material. The open cells are the opening of long twisted tunnels. To get absorbed, the sound has to get into the openings and flow through the tunnels, losing energy through friction. This is one of the reasons that sound foam has wedges – to increase the overall absorbing surface of the foam. But, this serrated edge, at the same time, makes acoustic foam a great dust collector! Porosity and the flow resistivity are the most important parameters in determining the sound absorption. Imagine if the pores, or the openings of those tunnels, get clogged by dust — sound cannot get in, and therefore, sound absorption efficiency is reduced. Regardless of how thick the foam is or how well the tunnels are twisted, if the opening of those tunnels get blocked – the sound can not get it and, and therefore, sound absorption will be reduced. Sound absorption mechanism of acoustic blankets is different. It is based on the sound waves spending their energy on vibrating the fibers of the inside filler. The sound gets in and goes through the blanket. As each fiber vibrates, sound energy gets lost by converting into heat. Blankets do not need to be glued to the wall. In fact they are more effective when there is an air gap between the wall and the blanket. Acoustic blankets make it very easy to create a vocal booth or dedicated recording space simply by hanging the blankets off the ceiling. This makes acoustic blankets an irreplaceable sound absorption choice when there is lack of space, living arrangement in a rental property or anticipation of frequent moving from one location to the other. If the blankets get dusty or dirty, they can be easily be taken off – shaken up and/or washed. Any way you look at it, acoustic blankets are more efficient, less costly and a healthier product than acoustic foam. This entry was posted in Sound Blankets and tagged Acoustic blankets, acoustic booths, acoustic foam, acoustic room treatment, acoustic sound blankets, acoustic treatment, acoustical supplier, auralex, bass trap, foam for soundproofing, isolation enclosures, mobile studio, moving blanket, music practice rooms, noise barrier, noise control, noise reduction, portable vocal booth, practice room, real traps, recording booths, recording studio, sound absorption, sound blanket, Sound blankets, sound booth, sound control, sound isolation, sound isolation booths, Sound proofing, sound recording studio, sound reduction, sound room, soundproofing, soundproofing products, vocal booth, vocalbooth, voice over booth.